If you live in Larchmont Village area of Los Angeles and you're considering summer camp opportunities for your kids this year, we've got some great news for you. trips to L.A.'s best beaches where campers learn to surf, boogie board, learn how to become water safe and enjoy the ocean. Aloha Beach Camp is located in Malibu. This summer we will be serving Larchmont kids and teens with free summer camp transportation. There will be a bus stop at Third Street School in Hancock Park, just a few minutes away from where you live. Your child can meet the bus at 8 am, enjoy a full day of beach camp activities with us, then be returned home to the same Third Street School bus stop later that afternoon. We offer a very unique and flexible day-by-day enrollment format where you never need to conform to any prearranged camp sessions. You can sign up for camp anytime you want, picking a day here and a day there, it's totally up to you. 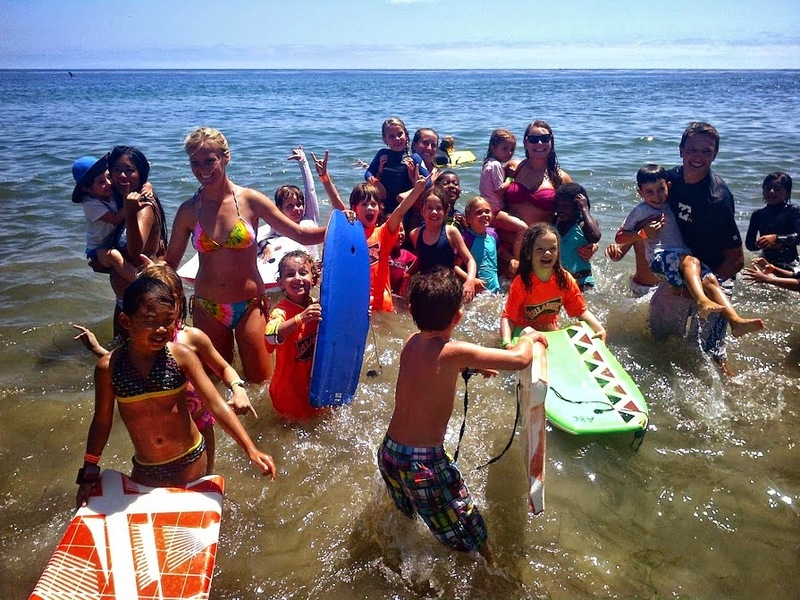 So if your kids love the beach and want to learn to surf and enjoy all the natural wonders of L.A's amazing beaches, we hope you'll consider our program this summer. We're having an open house on Sunday, March 22 at Zuma Beach (where Aloha Beach Camp takes place), so we hope you'll join us to meet our staff and to learn more about our summer beach camp program. If you have any questions about Aloha Beach Camp, please call us any time at (818) 932-4600. You can also visit the FAQs on our website which are a good source of information. Hope to see you at the March 22 open house and at Aloha Beach Camp this year.